As Noida is developing very rapidly and many of developers have developed their societies in different parts of Noida, Greater Noida and Noida Extension. Now many residential and commercial complexes are being constructed at Yamuna Expressway. Noida and Greater Noida have ample number of residential and commercial projects whereas some are completed and many are still under-constructed. Investors who had invested their money in these projects, there are now reselling and exiting from the market. Therefore “Resale flats in Noida” is one of the most attractive and demanding key word for flat buyers in Noida and Greater Noida. Currently many of the flat buyers are looking for secondary sale for flats and other properties on very reasonable price. Central Noida has now ample number of the completed residential projects where registry of the property is also started. Therefore ‘Resale flats in Central Noida’ is very common word for property seekers in Central Noida. Mahagun Moderne, IITL Nimbus The Hyde Park, Prateek Wisteria, Ajnara Grand Heritage, Elite Home, J M Orchid , J M Aroma, Aditya Urban Casa and many more residential projects are completed project where buyers are looking for property in resale for reasonable deal. Delhi Metro will also be functional by 2018 in Central Noida, which will enhance the demand of properties this central part of Noida. Noida Expressway is one of the most desirable place for accommodation for all corporate people who are working somewhere at Noida Expressway or connected to Noida Expressway. Noida Expressway has ample land for commercial and IT/ITES land. Many of the corporates are functional at Noida Expressway which generates huge number of flats seekers at Noida Expressway. Currently many of the sectors on Noida Expressway have ample numbers of completed residential and commercial projects where people are seeking for resale property in secondary market on reasonable price. Size:- 1750, 2300 and 3200 Sqft. The Hyde Park Sector-78 Noida. Available Resale 2/3 BHK Flats. 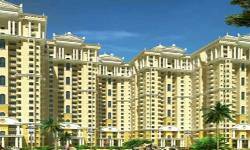 825/ 1070 / 1265 / 1665 Sq-ft.
Nimbus Golden Palm Sec-168 Noida. 506 / 1085 / 1554 / 1914 / 2473 Sq-ft.
930 / 1075 / 1225 / 1390 / 1665 Sqft. Greater Noida is one of the most desirable destination for flat seekers in Delhi NCR. Greater Noida has all kinds of buyers. It has segment for small investors to big investors. People who can’t afford for projects which are in Noida, these people look for investment in Greater Noida. Greater Noida is organised by competent authority in very articulated way. Currently many of the residential and commercial projects are completed in Greater Noida. Apparently ‘Resale flats in Greater Noida’ is very high traffic among flat seekers. Moreover Greater Noida has many of the running schools, Hospitals, Colleges, Malls, Hotels and Corporates which enhance the employment and interest of a person to stay himself or herself in Greater Noida. Noida Extension is actually part of Greater Noida West. 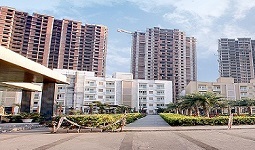 Noida Extension is known for its best connectivity of roads and low budgeted flats. Noida Extension is connected from Ghaziabad, Noida and Greater Noida. Delhi Metro is also proposed for its transportation facilitation in Noida Extension. Now a days many of the residential and commercial projects are completed in this location. So ‘Resale flats in Noida Extension’ is very demanding key word for all home buyers. Mahagun developer, Ajnara Group, Gulshan group, Nirala group, Ace group and many more builders have given possession of their respective residential of commercial projects. This is the result of such condition where many of the investors are willing to sell their flats and many of the low budgeted customers are will to purchase property in Noida Extension. Currently ample numbers of flat buyers who have limited budget and they are working in small or medium companies. They are more inclined for Noida Extension for their accommodation. Resale flats in Noida is one of the most demanding key word for flat buyers because every flat buyer is looking for ready to move flat on very reasonable price. Though many of the residential and commercial projects are completed in Noida, Greater Noida and Noida Extension, where most of the first buyers of the flats are willing sell their flats on premium by selling on higher price. People who are looking for ready to move flats where they can see the flat area, location and quality of the project physically so that they can have confidence while they are purchasing a flat from their hard earned money. Resale flats in Noida is the key word where buyer can have genuine deal on actual price of the flat by doing negotiation with seller.